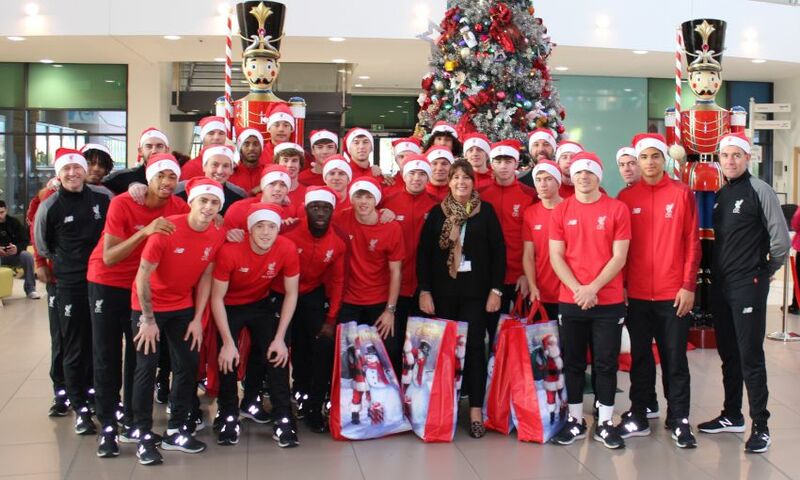 Liverpool's U18 and U23 squads made their special annual Christmas visit to Alder Hey Children's Hospital on Tuesday to bring festive cheer to the young patients. Joined by respective managers Neil Critchley and Barry Lewtas, the players delivered presents and also spoke with parents at the West Derby hospital. U23s manager Critchley said: "It is fantastic to be able to visit Alder Hey and put a smile on the children’s faces. "It’s the fourth time I have visited the hospital and it’s a really difficult time of year for the kids but hopefully we can help to cheer them up. The least we can do is hand out some presents and selection boxes to brighten up their day. “Alder Hey is a really special hospital which is extremely important to the city of Liverpool so it is a real privilege for the staff and players to be able to visit at Christmas. "On behalf of the Academy, I would like to wish all of the patients, families and staff at Alder Hey Merry Christmas and a happy New Year." Gill Kennedy, from Alder Hey Children’s Hospital, said: "Thank you to all the players and staff from the Academy for helping spread some Christmas cheer here at Alder Hey. "Visits like this are so special and part of our Christmas tradition, they truly make a difference to all our patients, families and staff."